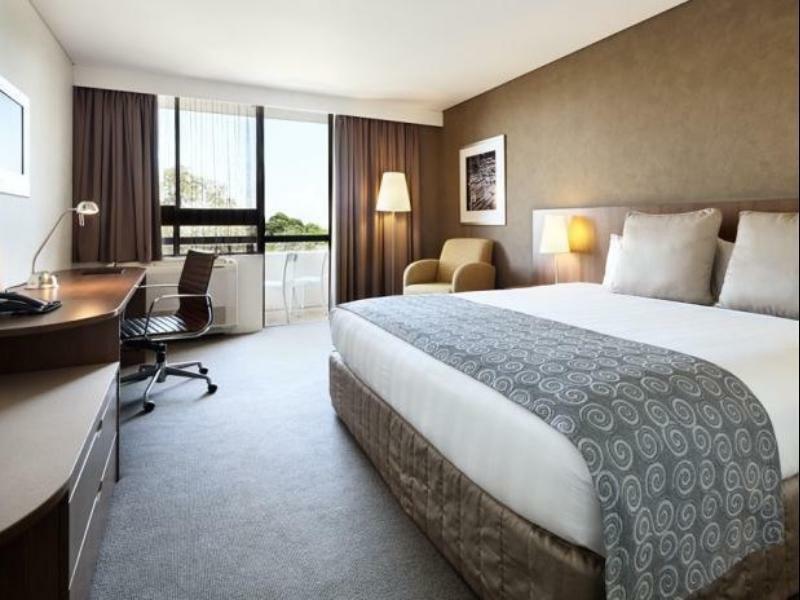 يقع فندق Hotel Urban St Leonards، المصمم ليناسب كل الضيوف سواء كانوا من رجال الأعمال أو السياح، في مكان ممتاز في أحد أكثر المناطق تفضيلاً في North Shore. يسهل الوصول إلى هذا الفندق ذو 4.5 نجوم من المطار، فهو يبعد عنه مسافة 10 km فقط. بالنسبة لمن يريد الخروج، هذه بعض المعالم السياحية المتوفرة للزوار North Shore Private Hospital, مستشفى نورث شور الملكى, Amicus Counselling & Clinical Psychologist St Leonards. استمتع بالخدمات الراقية والضيافة التي لا مثيل لها بهذا الفندق في سيدني. يقدم الفندق فرصة للاستمتاع بشريحة واسعة من الخدمات بما فيها: واي فاي مجاني في جميع الغرف, خدمة التنظيف يوميًا, خدمة سيارات الأجرة, مكتب الاستقبال على مدار الساعة, مرافق مخصصة لذوي الاحتياجات الخاصة . لقد جهزت هذه الإقامة الفندقية بعناية فائقة لتوفر مستوى عالي من الراحة. في بعض الغرف يجد النزيل تلفزيون بشاشة مسطحة, حوض الاسترخاء, غرف لغير المدخنين, مكيف هواء, تدفئة. يمكنك طلب اللائحة الكاملة للخدمات في الفندق ومن بينها مركز للياقة البدنية, مسار جولف - ضمن 3 كم, حديقة. اكتشف مزيجاً ساحراً من الخدمة الاحترافية والخيارات الواسعة من وسائل الراحة والمتعة في Hotel Urban St Leonards. يرجى ملاحظة أنه يوجد سرير مجاني قابل للطي للأطفال عندما لا يمكن استخدام الأسرّة الموجودة. يجب على النزلاء تقديم نفس بطاقة الهوية وبطاقة الائتمان المستخدمة في إجراء الحجز عند تسجيل الوصول. It is located 5-6 stations from city. There are Mcdonalds’ , Supermarket, Cafe you can visit. The room was quite spacious and very clean. Staff always make my room tidy. Also front staffs were friendly. They answered my requests promptly. Highly recommended. Location good. 15 minute walk to St Leonard's train station. Sure café a nice place for meals. Staff very friendly and helpful. 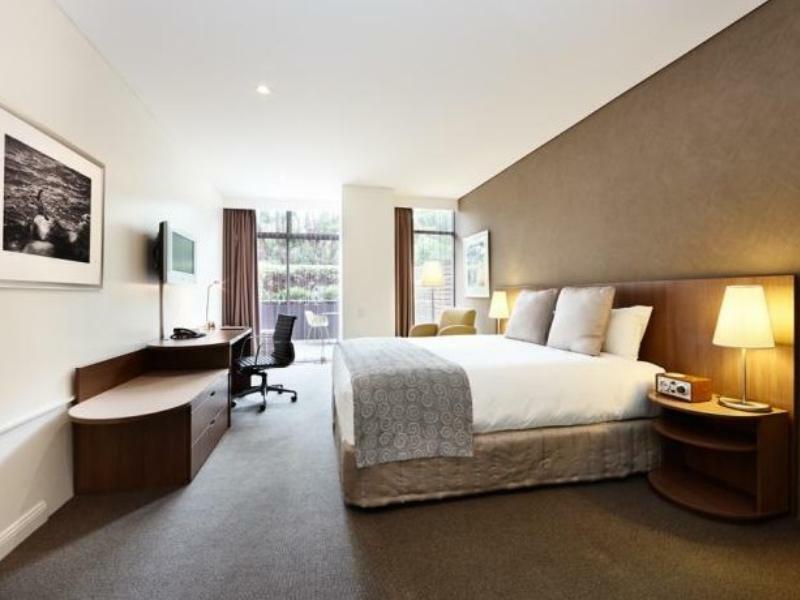 Conveniently located hotel being a 10 to 15 minute walk from St Leonards train station. Good sized rooms with all the facilities in them being wifi, ironing facilities and in room safe. Bed and pillows comfortable. Nice small café with good menu and food. Excellent professional staff members particularly the reception staff who are polite and courteous. Walls a bit thin noise wise. I got a noise complaint against me for taking a phone call at 10.30pm. I was on the phone a while and my conversation could be clearly heard in the next room. I'll be staying at this hotel again. I stayed at Hotel Urban as a course I was attending was located there. The room was nicely appointed, clean and there was a cot for our baby already in the room as requested. The room was ready when we arrived and the check in process was smooth. The king size bed was very comfortable, however there was quite a lot of noise from the traffic outside. That was the main negative. We still slept reasonably well as we had the air conditioning on and the windows closed. The breakfast was good and reasonably priced. We appreciated that there was a high chair available for our baby too. In all, I was happy with our stay and will definitely stay again in the future. My partner and I stayed for 3 days. We booked with high floors and better view request and the staffs gave us that! The room is clean and basic with the all the necessary amenities. There is a table large enough for putting small things and writing. Our schedule was a little bit tight so we didn't managed to have any meals at Sure Cafe. House keeping service at request was done nicely. Good job! There are a few public parking at the road side right outside the main door of Hotel Urban. If you meant to park for a short while it was free two hours from 8am to 6pm daily. At night time the parking is on your own risk. Hotel Urban do charged a 20 dollar or something for 24 hours. Overall it was quite a satisfied stay. I had a lovely stay at Hotel Urban. The reception area is very modern and the restaurant presented very nicely. The staff were friendly and very helpful. I had one dinner at the restaurant which was good. The bus stop is right outside the hotel, and the train station is only 10 mins walk away. My request for a room away from the elevator was acknowledged and I had a very comfortable nights sleep in a beautiful king sized bed. All amenities in the room were great. I would definitely stay here again. 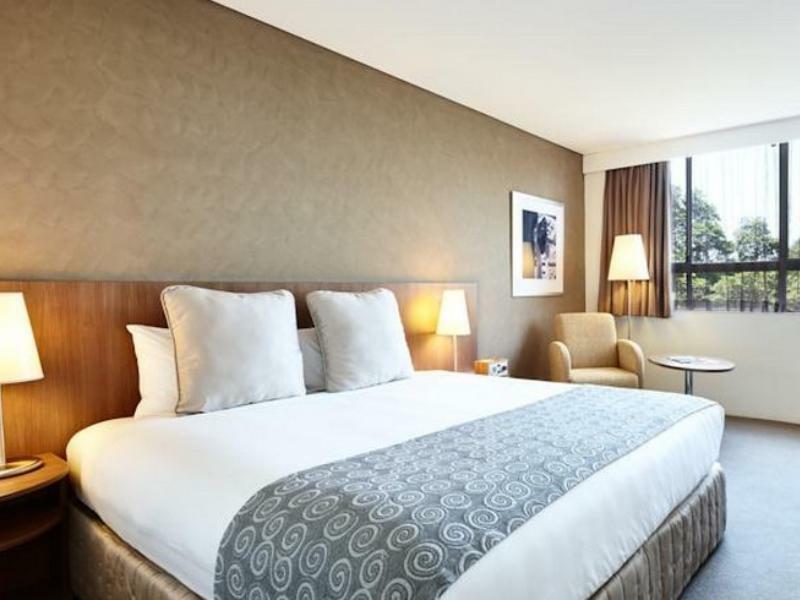 Hotel Urban is a nice hotel in terms of cleanliness, facilities and food. However, in terms of location and transportation, it only about average because it is very far from CBD (Sydney Downtown) and also it nowhere near to 7Eleven and Woolworths for 24/7 food and beverage needs. The office person was amateurish in checking me out. He made a mistake with my credit card and said ‘Oh, Bum!’ His attitude to me during the painful process was one of indifference. No professional customer service skills at all. Other staff were also of limited professionalism. Ok Hotel I guess but it feels like it’s stuck in some earlier time. Won’t be back. Everyone and everything was awesome. Loved our short stay. Highly recommended to anyone wanting a place to stay in Sidney. Easy access to public transport. Would love to have more facilities available. Hotel Urban is a great place to stay. The rooms are nice and clean and the beds are super comfy. The rooms on the Pacific Highway are actually better than the rooms facing the back and he reason is that the garbage truck comes very early in the morning and is very noisy each day. The hotel is about a 20 minute walk to some lovely restaurants at Crows Nest. The main disappointment of this hotel is always the staff, especially at the restaurant. We always have to ask for the high chair to be wiped down as they are usually very dirty. We often also need to get our own cutlery and menus. It is a real shame that the service is lacking in what would otherwise be a fantastic hotel. Great value for money. Lovely looking hotel. Covered car parking a bonus which you didn't have to pay extra for. Nice cafe/bar attached and great location. My only feedback but wasn't enough to take away the awesome experience was the bed/pillows were a little uncomfortable and the air con did not work too well. However the overall experience was fantastic. 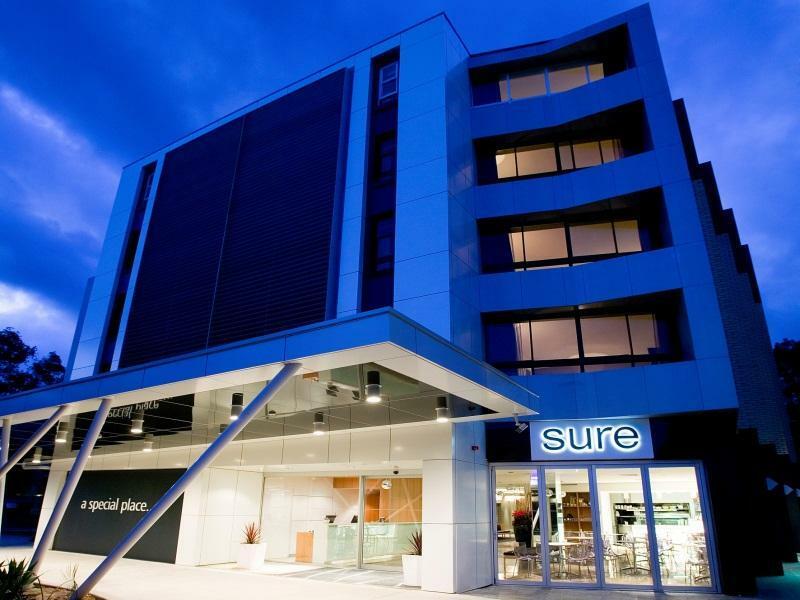 We stayed at Urban as my partner was due to have surgery at the Mater. It was a two minute drive and we were catered to so well. 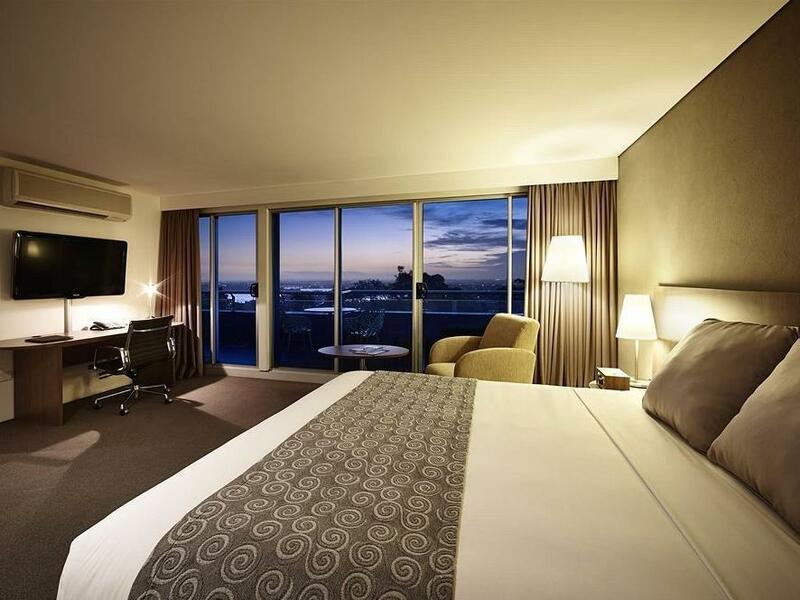 From a spacious room close to reception, to the amazing room service and cafe breakfast. It was fantastic. The hotel is general is great if you need to be in that part of town. It's about a 10 min walk from St Leonards Station and close to RNS Hospital. Rooms are nice and facilities are good. The worst part of the establishment is the staff in the restaurant. They are not unpleasant but are very inefficient and forgetful. The highchairs are filthy and after I cleaned the chair myself the first 2 times, I asked the waitress to take the tray and clean it with soap as it had black residue on it. Each meal, I needed to make the same request. Many customers ended up collecting their own menus and cutlery as the table service was so poor. Having said that, the food is quite good. I would choose to stay again, but am reluctant to eat at the restaurant, especially if in a hurry. Cafe on ground floor had a good menu for breakfast. We were in town for a party in Greenwich & this was ideal. We would definitely stay again if we needed to be on the North Shore. The rooms face onto the Pacific Highway but weren't that noisy. Rooms are a good size with comfy beds. 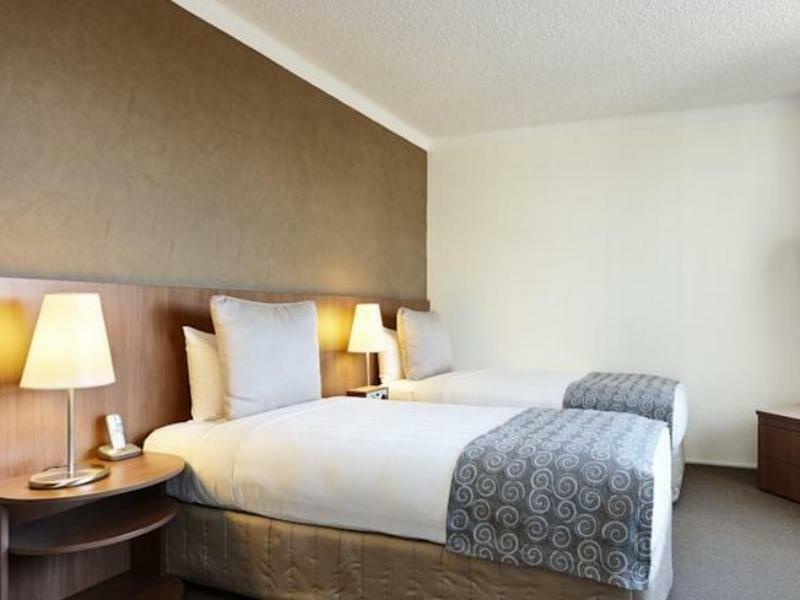 This hotel is great value - friendly, clean, modern, sleek, all the conveniences, great sized room, beautiful quality linen to sleep in. Despite having a room located on the Pacific Highway side of the hotel it was not noticeable and didn't interfere with sleep. It is located a manageable walking distance from St Leonard's train station even for those who are not super fit and feels safe even after dark. I really enjoyed my stay at the Hotel Urban. It was convenient, clean and super comfortable, and the staff were very friendly and helpful. The mini bar was well stocked with a good variety of drinks and snacks. Bonus points for the curtains having excellent window coverage (they really closed properly and there were no chinks to let in the early morning sun) and for windows that open (I love my fresh air). I didn't use the restaurant (partly because of reading some not-so-good reviews), so I can't comment on that. I was allocated Hotel Urban through a mystery deal, and I was very happy with the result and would come back again in the future.